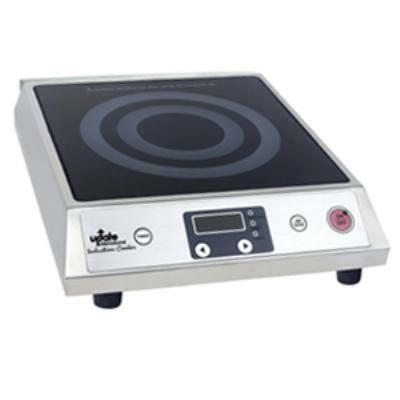 Induction Cookers are available for rent in Clark County, NV. Call the Caterers Inc today for availability. 1800w, 120 volt, stainless steel with ceramic top. Push-button operation. 140F – 464F temperature range. WHY USE AN INDUCTION COOKTOP? Quick and easy clean up. You don’t have to wait for the surface to cool. NOTE: The pans you use on the induction cooktop must be of a magnetic type in order to work. Pans that are 100% copper, 100% aluminum or non magnetic stainless steel will not work. If you are not sure what your pans are or if they will not work, take a magnet to the bottom of the pan. If the magnet sticks to the bottom side of the pan, your pan WILL WORK on the induction cooktop. Stainless steel or cast iron is recommended.